Just a month before the high school football season begins, Matt Takata, who had been battling for the starting quarterback spot at Charter Oak, left the school to enroll at La Mirada and is already practicing with his new team. Takata, one of a handful of quaterbacks that platooned for the Chargers when Brett Clemetson was lost to a broken collarbone, completed 45 of 82 passes for 811 yards and four TDs. 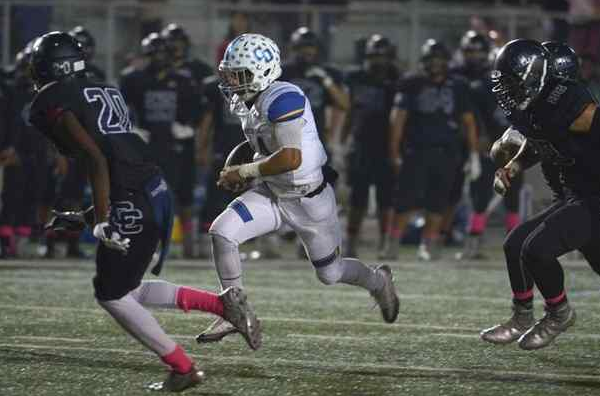 He had his best game against Chino, throwing for 409 yards and three TDs. It appeared the Chargers’ starting QB spot was Takata’s to lose, but in the Battle of the Beach summer passing tourney and during a recent scrimmage with Bishop Amat, Jalen Palacios, a senior, improved his stock and may have pushed himself ahead of Takata on the depth chart. Palacios, who was a WR and DB last season, was not part of the many QBs who platooned last year following Clemetson’s injury because he was recovering from an injury of his own. Palacios tore his ACL early in the season against Glendora and was lost for the year. With Takata now at La Mirada, you can pencil in Palacios as the starting QB. No word on whether Takata will be eligible right away or if he will have to wait for the sit-out-period to end.